Evolution is feared by many as being heretical. But is this really the case? Here are ten questions about evolution and Judaism, along with brief answers. This does not substitute for the detailed discussion that this topic requires; it is merely intended as an introduction. 8) Doesn't evolution go against tradition? Yes, unfortunately there are. But this is an abuse of science; it doesn't reflect on the science of evolution itself. This, however, is why it is important for anyone teaching evolution to understand it properly. 10) You didn't answer all my questions and objections! Of course not! Evolution is an immensely complicated topic, to which it is impossible to do justice in a brief article. 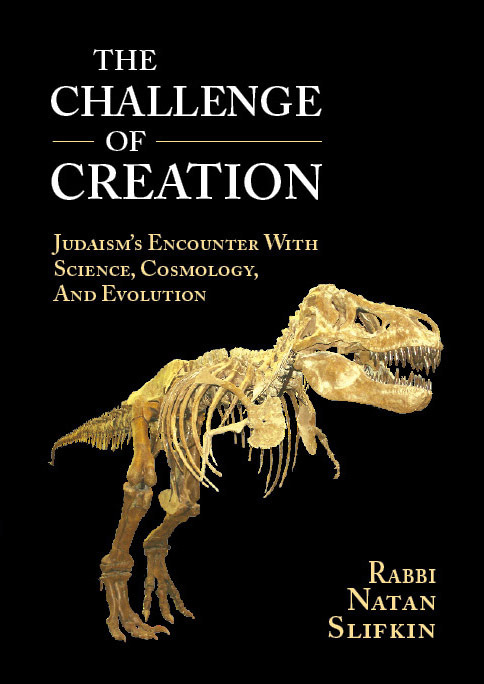 Please see my book The Challenge Of Creation (available in Jewish bookstores and at www.zootorah.com) for a very detailed discussion. The problem that people have with #9 it is that Biology was previously the best example of Divine Design in the universe. Even Hume the skeptic seems to admit that Biology implies Design; this is one place in Dialogues Concerning Religion where the skeptic Philo has no answer. But Darwinism upends that. reach to reject such natural and convincing arguments? Demea broke in on the conversation—luckily for Philo!" It's a misconception that evolution upends the argument from design. It just pushes it back to the laws of nature. Respectfully, it is not a misconception at all. Evolution shows that something that looks so thoroughly designed can, in fact, not be evidence of a designer at all. Once you accept evolution you should, at the same time, learn to be deeply sceptical of any even slightly similar argument from design. As an example, I don't know what you mean by "the laws of nature", but if you are referring to the constants of physics (the "fine tuning" argument), what we learn from evolution is that we should be looking at the process of the formation of the universe and the process of these constants forming in order to figure out how they ended up as they are, rather than blindly positing a Designer. 1) Physical laws, as best we know are purposeless. For example Newton's laws have no factor for design or elegance. When you give an explanation of a phenomena based on physics or chemistry, "purpose" plays no role in the explanation. This kind of explanation is similar to Aristotle's efficient cause. 2) OTOH, in biology, purpose is extremely important element of explaining phenomena. Explaining the "purpose" of a particular element of a biological system is key to understanding its place in the system. This is similar to Aristotle's final cause. 3) So putting #1 and #2 together would lead one to believe that the physical laws that we observe is not enough to explain biology. How can purposeless laws explain purposeful phenomena? There must be some background designer how create purposeful phenomena out of purposeless underlying "material". 4) Darwinism says: no, that isn't true, you can get purpose out of non-purpose via random mutation and natural selection. 5) The "laws of nature" have no parallel argument. You can argue that someone must have designed the laws of nature, and maybe that is compelling in its own right, but it doesn't have the same force as the seeming contradiction between #1 and #2 that existed before Darwin. There are physicists who think that our universe has the laws that it does because these happen to be the set of laws (or one of the sets of laws) that allows for a stable universe. Universes with non-stable laws have their Big Bang and then fizzle out. So it is not at all surprising that the universe that we see is one that happened to be set up in such a way, because all of the ones that weren't didn't last. In general, the history of science is the history of the displacement of humans from the center of the universe. First we found out that not everything revolves around the Earth, and in fact the Earth orbits the sun. Then we learned that our sun is just another star. Then we found out that we are not special and are cousins with the other animals. Then we found out that our galaxy is one among many. If multiverse theory is correct, or even if the universe goes through cycles where it is born and dies and is born again with different sets of laws, then even the universe that we happen to find ourselves in is not special, but one of many, and just happens to be the one that was set up in such a way that it allows for us to exist. Explaining complex natural biological entities through natural physical laws is in no way analogous to searching for the source of those laws themselves. We question not a product of cosmos but their underlying structure. Constants do not "form" in the way that physical entities directed by those constants do. The fine-tuning argument is not subject to the same fallacies that plagued the argument from design. Interestingly, this was the single argument for the existence of God that Hitchens was partial to. "There are physicists who think that our universe has the laws that it does because these happen to be the set of laws (or one of the sets of laws) that allows for a stable universe. Universes with non-stable laws have their Big Bang and then fizzle out. So it is not at all surprising that the universe that we see is one that happened to be set up in such a way, because all of the ones that weren't didn't last." The question is why are there fixed laws at all, rather than pure chaos (other than, perhaps, 'necessary' laws, like every action causing a reaction, which would then be a necessity in other potential universes). Explaining complex natural biological entities through natural physical laws is in no way analogous to searching for the source of those laws themselves. This is true, but unfortunately the former is much more compelling than the latter. How you can seemingly get purpose in biology when the constituent elements obey purposeless laws is a real question. It appears to show that designs is somehow fundamental the universe in a way that the basic laws of physics seemed to prohibit. This is a genuine scientific question that seemed to point to the need for a designer of some sort influencing the world. The question of why the fundamental laws of the universe are the way they are is interesting, but not a "kashya". There is no real problem if at some level the laws are simply they way that they are. The confusion sometimes comes from the fact that science is often thought to answer "why" questions. In fact, all it does is to enable the creation of quantitative models that can explain and predict more and more of what we can see. E.g. Newton showed "why" the planets move they way that Kepler described and why objects close to the earths surfaces fall the way that Galileo described with his theory of Gravity. In thatm he showed how both phenomena can be both predicted and explained by the Gravity law + the laws of motion. This is despite the fact that the law of Gravity and the laws of motion are no more "logically compelling" than than Kepler's laws of planetary motion. You can ask the "why" question of them of the laws of gravity if you want to just as you can of Kepler's laws. The reason they "answered" the question is that you could get both falling objects and planets in one system AND you could make further predictions that were borne out. Because the universes that are chaotic are unstable don't last. It may be that nearly every universe that forms is unstable, but every now and then the dice come up sixes and the universe is stable. Intelligent life could only evolve in a stable universe, so when we look around, that's what we see. You need stable background laws for this. To posit that when a few variables turn out right, scientific laws emerge, itself invokes a superlaw(s). So, the the answer just kicks the can down the road. Intelligent life could only evolve in a stable universe, so when we look around, that's what we see. Mechanical intelligence cannot evolve in an unstable universe (though it can exist), but there's no reason that the chaotic universes be devoid of (at least bits of) consciousness, or alternatively, that physical life be associated with experience. That is unless you invoke another set of super-laws governing the emergence of consciousness. So again, you're explaining away laws with super-laws. "This is supported by a wealth of converging evidence along with testable predictions." -- This requires further explanation, since, after all, astrology also makes testable predictions. Astrology has been tested. It's predictive power is no better than a coin toss, which means it's not really predictive of anything. The difference is that astrology's predictions aren't very good while evolution's predictions are. Yes, but the testable predictions of astrology are not born out by reality, unlike those of evolution. An easy experiment for a classroom that I have done myself is to have horoscopes cast for the students, but not labeled, and see if they can pick out their own horoscopes based on what has happened. It goes without saying that I don't need to be sold on the idea that astrology is false. I was hoping for a response that went beyond the obvious. What I'd like to get at is the idea that not everything that is claimed to be a prediction of evolution is indeed a prediction of evolution. Here's one example from newscientist.com: "Perhaps the most striking prediction in biology was made in 1975 by entomologist Richard Alexander. After studying the evolution of eusocial insects such as termites, he predicted that some burrowing rodents in the tropics might have evolved the same eusocial system – as later proved to be the case with the naked mole-rat." What happened here? Did they prove that the naked mole-rat evolved this similar system, or did they merely show that the naked mole-rat *has* this similar system? Did he show an evolutionary pathway from termites to mole-rats? Of course, I don't need to be sold on the idea that astrology is bunk. You guys added part of what needed to be added to Rabbi Slifkin's statement -- thanks. But I feel more can be added. The quality of the testable predictions that evolution makes, and the percentage which have come true, or have been falsified, should be detailed, and should be compared with competing theories. If one evolutionist predicts X and another evolutionist predicts not-X -- and only one of those things happen -- has the theory been bolstered or not? Anyway -- issues like that should be added, I think, to the statement that Rabbi Slifkin made. Did he show an evolutionary pathway from termites to mole-rats? No, but that wasn't even the claim, which demonstrates your lack of understanding. You need to do a bit more than cut and paste if you really want to gain knowledge. You also have to first open your mind to the possibility that you are wrong. David, you misread me badly. I asked questions (a sign of an open mind) and did not make declarative statements. Unlike you. OK, let me apologize and back up. Here is a quotation about Alexander's prediction. "Richard D Alexander has made a similarly striking prediction based on first principles of the evolution of social behavior. Although common in social insects, eusociality—the social system with a queen and sterile workers—was unknown in any other taxa. Under the appropriate set of conditions, Alexander predicted, evolution ought to produce a eusocial vertebrate, even though eusociality in the naked mole-rat (or any other vertebrate) was unknown at the time." Do you now see why your question is inapt: "Did he show an evolutionary pathway from termites to mole-rats?" I should mention something: My first comment didn't appear for a long time after I hit "enter", so I thought that R' Slifkin blocked it, and I submitted it again after changing a few things. You can tell by the similar opening sentences. I'll agree that my question isn't exactly what I wanted to ask. Instead, I think my other question is apt: "Is a prediction made by an evolutionary scientist necessarily a prediction of the theory of evolution?)" I read Alexander's 12-part model for a eusocial vertebrate, and it seemed to me that even Ken Ham (a famous Christian creationist who I don't hold to any esteem) could have created the same model. 1) Darwin's theory relied on a mechanism of heredity that would preserve beneficial mutations in offspring in a way that they would not be "blended" or "washed out" in larger number of non-mutated members of the species. It turns out later heredity works out the way that is required by evolution. 2) The world had to be a lot older than had been proven in Darwin's time for evolution to have time to work. In fact, it is much older than could be proven at that time. 3) As far back as Aristotle, people realized that their there was a tree like structure to species, but why this was could not be explained. Darwinism explains this perfectly, and you can validate the theory by looking at DNA differences. You also can fix problems with the original tree. 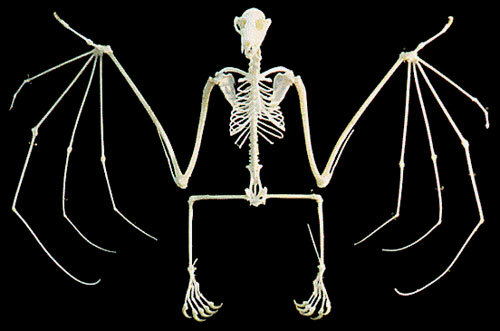 4) Most importantly: we can observe evolution in action. Cancer, antibiotic resistance, and the immune system itself all examples of Darwinism in action. The experts here can give tons more examples, or else you can read up on it yourself. The whole of modern biology is based on Darwinism, which is to say, Darwinism is what enables biology to make sense of the world. It is not a conspiracy. The extant competing theories all work within the framework of Darwinism because of that, just like theories about cosmology all operate in the context of the basic physical laws which have been substantiated over and over in numerous contexts. Just addressing 3 and 4 for now: I'm not sure Darwinism explains the tree like structure "perfectly" (I have a thing against hype) considering what scientists like Dartmouth biologist Kevin Peterson who studies microRNAs lamented, "I've looked at thousands of microRNA genes, and I can't find a single example that would support the traditional tree." According to the article, microRNAs yielded "a radically different diagram for mammals: one that aligns humans more closely with elephants than with rodents."... "The microRNAs are totally unambiguous ... they give a totally different tree from what everyone else wants." And also this: A 2013 paper in Trends in Genetics reported that "the more we learn about genomes the less tree-like we find their evolutionary history to be." Concerning #4: I'm surprised you thought that giving examples of microevolution would persuade someone of macroevolution. I know you know that much more is needed to prove the latter. 1) Your first question about microRNA is unfortunately typical in these sors of discussions. The questioner points out "hey but what about this unexpected result?" as if science is not all about finding unexpected results and attempting to broaden our understanding. In this case, as is often the case in these types of discussions, the unexpected result turned out to be error in the original analysis as conceded by one of the original authors: "Erik Sperling, a palaeobiologist at Yale University in New Haven, Connecticut, who was Peterson's co-author on some of the microRNA analyses, agrees with Thomson's conclusion that microRNAs cannot alone unveil species relationships. "MicroRNAs are not the panacea we perhaps originally hoped,” he says. 2) The distinction between micro-evolution and macro-evolution is entirely artificial as I mentioned in another comment: "There is no distinction between microevolution and macroevolution, except that any form of evolution that we can directly observe happening on the timescale of human observation is deemed microevolution and anything that takes longer is deemed macroevolution. This distinction is a convenient attempt to deflect attention from the fact that Darwin predicted these observable phenomena many years before they were observed based in his theory. The directly observable forms of evolution thus provide confirmation to the theory as a whole. This is in addition to the "historical" evidence that also lines up nicely. That we can't directly observe instances of evolution that take place on a timescale much longer than the time since Darwin published his theory is not surprising, I hope." Please respond to that before you repeat the same assertion over again. 3) The line about "the more we learn about genomes the less tree-like we find their evolutionary history to be" is talking about things like incomplete lineage sorting which is also predicted by the theory: http://biologos.org/blogs/dennis-venema-letters-to-the-duchess/evolution-basics-species-trees-gene-trees-and-incomplete-lineage-sorting. 1) You are making the same mistake here as is often made by people trying to go up against basic science: they find some as yet unexplained phenomena and use to to question the whole enterprise, as if scientists are not searching for new phenomena that can't be explained by the currently known rules. Often, by the time the "objection" is posted, the solution has been found. There is no distinction between microevolution and macroevolution, except that any form of evolution that we can directly observe happening on the timescale of human observation is deemed microevolution and anything that takes longer is deemed macroevolution. This distinction is a convenient attempt to deflect attention from the fact that Darwin predicted these observable phenomena many years before they were observed based in his theory. The directly observable forms of evolution thus provide confirmation to the theory as a whole. This is in addition to the "historical" evidence that also lines up nicely. That we can't directly observe instances of evolution that take place on a timescale much longer than the time since Darwin published his theory is not surprising, I hope. RE question 5: Another answer is that purely deterministic creation could not have created beings with free will. Avot 3:15: hakol tzafui v'hareshut netunah. Both statements are true and they contradict each other. Deal with it. An intelligent, informative, and well-written blog of Rabbi Slifkin's, as usual. I personally applaud Rabbi Slifkin's courageous attempts to reconcile Torah and science in our generation, ultimately keeping many young people within Judaism and Orthodoxy, who would otherwise have felt they needed to choose Torah _or_ science. It was refreshing to read Rabbi Tzvi Hersh Weinreb's commendable and spot-on foreword to "The Challenge of Creation". I join him when he writes "It is to be hoped, however, that those who choose to disagree with Rabbi Slifkin will do so politely and intelligently, as befits Torah scholars and men of good will". Could you provide references to respectable biologists who think that the mechanism of random mutations + natural selection does *not* suffice to explain evolution? Meteorology explains how weather works with no recourse to the metaphysical, *and* God controls the wind and rain. Medical science investigates diseases and medicines cure them with no recourse to the metaphysical, *and* God heals people. Historical documentation explains how Israel won the Six Day War with no recourse to the metaphysical, *and* God miraculously made Israel win. So too, random mutations + natural selection explains evolution with no recourse to the metaphysical, *and* God guides the development of different species. It's not that God is necessary to explain any of these things, but as long as they don't rule out His involvement, His position as the Causer of All Things is maintained, at least in an honorary role. G*3, you didn't understand my question. I'm asking about #2, where Rabbi Slifkin writes "Most, though not all, biologists believe that random mutations, coupled with natural selection, broadly suffice to explain this mechanism." I am asking: Who are those biologists who believe that these meachanisms *do not* suffice? The book of Deuteronomy seems to imply, if taken literally, that the Earth is flat! In 28:64 it talks about the Jews being dispersed "from the end of the Earth to the end of the Earth", whereas in 30:4 it talks about being gathered "from the end of heavens". (Also in 4:32 it talks about asking what previously happened to peoples "from the end of heavens to the end of heavens".) How can the end of the Earth be synonymous with the end of the heavens? Of course, if the Earth is flat and the heavens form a dome over it. It is possible that, at that time, people already knew that the Earth is really round and these are just figures of speech. But it could also be that people took these phrases literally. It is obvious that the Bible takes it as a given that the world is flat. There is plenty of Talmudic material that also indicates such, though I suppose that Raban Gamliel must have known the world was round. The fact that, largely thanks to the Rambam, not even the extreme of the extreme defends a flat earth is very instructive, for a number of reasons. Bring me a quote that explicitly says the earth is flat. The 'end of the earth' is not sufficient, as once you know that the earth is round it is obviously figurative. There is s tosfos in Rosh Hashono that says the earth is round, but can't remember the daf. "Because the World is round"
Tosfos references a Yerushalmi which echoes this point: "Alexander the Macedonian ascended on high until he saw the earth like a ball and the sea like a platter. The 'sea' refers to the ocean that encompasses the entire earth"
We see here that Chazal (as well as the Romans) had the knowledge that the world was round. As I'm sure you're aware, many gemaros contradict that idea, and it seems most probable that the meaning of kadur there is disc, not ball. Do you know of any source in Chazal where "cadur" means a disk? Or a ball submerged in an ocean with half (or less) of it sticking out. It is probably some members of Chazal know that the earth is spherical given the time period that they lived in. "פי' ים אוקינוס שמקיף את כל העולם"
How can an ocean surround the world if the world is a sphere? If the earth is a sphere why would the sea look like a plate? The answer to both questions is apparently that the earth is a dome submerged in water, or something. In which case, why don't we believe that? I'd always assumed that both sides in the famous controversy in Pesahim 94b assume the flatness of the earth. My brief google search actually suggests a more disturbing possibility, namely that the opinion of the goyische sages was that the sun orbited a round earth, but Rebbe misunderstood it to mean that the sun goes underneath a flat earth. He concludes by saying that "In summary, there was no single view of the shape of the world among the sages of the Talmud. Some believed the world is flat and other were unsure. Most, however, believed that the world is round which has now been proven correct." Apparently what he means by this is that the majority of the sages thought the dome was a ball submerged in water. I don't see how his evidence demonstrates even that, to be honest. He seems to think the Zohar is a Hazalic source. The point remains that there doesn't seem to be a single source anywhere in the Tanach or Hazal for the view that the earth is a ball surrounded on all sides by air, and yet all fundamentalist Jews believe this to be true. As the Rambam would say: understand this. I don't know either, but he could have meant that the worldwide ocean surrounds the single land mass comprising the inhabited world, which was a medieval belief. > How can an ocean surround the world if the world is a sphere? As you say, the popular model of the world in ancient world was similar to a snow-globe submerged in water. The firmament is the glass ball of the globe. Inside is the flat plate of the Earth, and outside is the ocean which surrounds the world. That's an untenable generalisation. You know better than that. the attempts to tar everyone with the same brush are tiresome. Having looked into this recently, IMHO the place to start thinking about evolution is the cell. When you see the tightly integrated nature of the cells processes, for example the mitochondrial production of atp from adp, using the electron transmission chain and finally the proton powered ATP kinase, it is really nonsense to say that this process could have happened spontaneously. Precise ordering of amino acids on ten separate protein chains that then have to be folded in a specific way and fitted together precisely, and even then only have any use whatsoever when they fit into a double membrane space that has other proteins capable of generating a proton gradient. This is a design process, and furthermore it seems to me that the only way this can get started is if the entire cell appears as a whole. Any parts would simply fall away. Only the whole has any functional value. Any simple change in the structure of the protein chains, which you would need to build new structures, degrades the function instantly. Just as changing random letters in a book destroys the content. There is no way to get from one functional structure to another by random change. Evolution is vital because it underpins the entire secular nature of science. It HAS to be made true, no matter how much scientific tosh is created to give this appearance. I am afraid science has a long history of creating evidence to suit its purposes. Just like the majority of climate scientists agree about global warming (sorry climate change or is that weather? ), yet there is actually no warming at all, with most of the apparent change coming from rural weather stations that no longer have a thermometer and are set to give an estimated reading which is adjusted to be a higher urban temperature despite it being a rural station. This does not equate to objective truth. I don't think evolution is the slightest bit true. It's just another of esov's lies. Assuming you know something about these processes and are not copying from a book, you know that not only does changing the structure of a protein not automatically render it useless but there are many examples of protein variation, some more efficient and some less. On the other hand, you would already know about transposons, shared genes between species, differences in rates of change of coding and non-coding DNA and how they can be followed through evolution, and the plethora of other evidence for evolution. I don't claim mega expertise, but it is a sleight of hand to say that changing a protein does not automatically render it useless. Random changes will destroy or degrade protein structure. Variation of protein structure with function maintained requires precise changes. Not to forget that the fossil evidence shows that the species all appeared together, and the Washington shale find was buried in a drawer for 90 years because of this. That's not true. Let's take one example which I'm not so sure is actually true, but which people on a blog such as this tend to love. One hypothesis for why "European Jews are smarter than other groups" is that certain genetic mutations which can cause disease (typically when homozygous) at the same time increase intelligence in the population. It's a mistake to view mutations automatically as "bad." It is true that in a working system most changes will prove disadvantageous, but that's why evolution requires natural selection. The advantageous changes are the ones that increase. Jews are smarter, become financiers, take a disproportionate percentage of the resources, and increase, etc. As for your second point, it is true that assessment of the forces driving evolution have changed over the years. Slow uniform pressures or sudden dramatic ones, who cares? If you believe the fossil evidence to show that certain species all appeared together, where do you think they came from, thin air or the species already in existence? Or are you gunning for ID, in which case I still have to wonder whether they came from thin air and the Designer often changes His mind about which species He likes, or whether He morphs previous species into new ones, evolution on steroids, so to speak. Skeptic, your information appears to come undigested from Creationist sites. Either you don't understand the material or it's simply false. The fossil record most definitely doesn't show all species appearing together. Complex organisms can be separated by several hundred million years as determined by the radiometric dating of the surrounding sedimentary rock layer. Simple cells like bacteria can be much older. Nor does the complex composition and activity of a modern cell prove anything about design. The fossil evidence indicates that the simpler cells (prokaryotic) such as that characterizing bacterial were the only forms of life for a billion years. These cells did not have organelles such as the mitochondria that you mentioned. Nor was their DNA contained in a cell nucleus. They were far simpler than the later eukaryotic cells that did have nuclei and organelles. The latter appear to have arisen when some bacterium engulfed another simple cell that retained some of its properties in the bacterium and gave it better survival ability. Complexity needn't imply design. Time and circumstance can account for much when survivability is factored in. The most damning statements that you have made, however, concern climate warming which you attribute to manipulation of rural weather stations. You need to consult more intelligent websites for your information. > Not to forget that the fossil evidence shows that the species all appeared together, and the Washington shale find was buried in a drawer for 90 years because of this. Are you talking about the Brugess Shale? That's a common Creationist claim, and it's just not true. The details of the original find were published in 1908, and there were new digs at the site every decade or two during the period that the findings were supposedly being hidden. And it wasn't "all" the species that appeared together, but the species found in that particular location. There's an entire chapter in the Origin of Species predicting the appearance of animal groups with few or no similar ancestors. So it wasn't exactly a surprise. IIRC, it has something to do with the way animals tend to fossilize. re my statements about temperature adjustments, why don't you look at the raw data - presented in the links - instead of 'intelligent websites'. The temperature readings are actually labelled with an E if they are estimates, so it's quite easy to see. And in prokaryotes there is still a double membrane to allow the proton pump to work, just not in an organelle. That structure cannot be coded by DNA. by point two already departs from the realm of science by associating Neo-Darwin (NDT) doctrine with the scientific term 'Theory'..
NDT never has qualified as a scientific theory. it does not even hold up to hypothesis anymore. Your opening line will immediately mark your article as suspect in the eyes of your target audience, and will cause the rest of it to be rejected. You wrote, "evolution is FEARED by many as heretical." That is the language of the left, who try to frame all disagreement with their agenda as irrational fear of change. (Hence the term "homophobia" that promoters of homosexuality use for opponents.) They either cannot conceive or they refuse to accept that their opponents might actually have a basis to disagree with them, and in either case its both insulting and mistaken, Hardly a good way to win friends and influence people. Substitute that word with "viewed" next time, and you'll be on much firmer ground. Point 8 would undermine your argument, it seems to me. The geocentric universe of Ptolemy was not only the religious view of the time (as you wrote), but it was also the view of the scientific establishment. Why, one might imagine an article just like this one, with proofs and arguments to support the point. And yet that bit of scientific dogma was eventually stood on its head. And there are scores of other once-dominant scientific theories that in time came to be rendered obsolete. Same thing with current prevailing social thinking. Not that I have any personal beef with evolution. Some of it seems plausible enough to me, and count me among those who think the opening chapters of Genesis are allegorical. But I find the faith some people have in in-vogue scientific or social theories to be just as fanatical and absolute as the most pious of religious believers. So, Pace point #2 above, I'll stick with calling evolution a theory, and not a fact. The geocentric universe of Ptolemy was not only the religious view of the time (as you wrote), but it was also the view of the scientific establishment. Modern empirical science had not been invented at the time of Ptolemy. Your argument is analogous to saying that one can doubt the 92 natural elements because Aristotle had four or five. We don't believe in science because the "establishment" accepts it; we believe it because (unlike almost all ancient "natural philosophy") it based on evidence. ANONACJA - Scientists when behaving as scientists do not have 'faith' in Scientific theories. Rather, they accept the theories as being the best current explanation for the data we now have, but could and should be changed if new data comes in suggesting error. Religious people have faith in their religion and will reject new data or will fit it by hook or crook with their faith. "We don't believe in science because the establishment accepts it; we believe it because it based on evidence." Not true. 99% of the people have never studied the evidence. Even "scientists", whose specialties often have nothing at all to do with evolution, have never studied it. It's all either assumed to be true (by the true believers); false (by the very religious); or debatable (by the skeptics.) None of these opinions are based upon close and careful study, which takes years. They are based upon the core natures (תכונות הנפש) of the individuals forming their opinions. Some people are inclined to accept everything said in the name of "science", others are equally likely to reject it, and still others either seek compromise or remain agnostic. Unknown, you are correct the social process for disseminating knowledge is complex. Nevertheless, the authority of Newton derived from empirical confirmation of his theories by those who could. Thus the complete falsities of Aristotelian natural philosophy don't undermine our belief in modern science. It it a completely different method of establishing truth. I am curious how one would respond to the argument "a monkey throwing paint on a canvas can never create a Monet". How could evolution create such sophisticated beings as human, a heart, and eye etc. RNS actually does support the design argument, albeit a much more sophisticated one. Random mutation and natural selection. The rest is commentary, go and study it. ANONACJA Evolution is more like how people's primitive art eventually gave rise to a masterpieces. But using your example, the monkey gave rise to other primates that became better and better at making masterpieces. Actually it's not as simple as that. "Of course, biological evolution is not like this at all. It is an actual complex process, not a principle. The way that it takes place can, and indisputably does, change with time. This is of utmost importance because the process of evolution advances as it proceeds (Campbell, 1986). Preliving matter in the earth’s primordial soup was able to evolve only by subdarwinian “chemical” mechanisms. Once these puny processes created gene molecules with information for their self-replication then evolution was able to engage natural selection. Evolution then wrapped the self-replicating genomes within self-replicating organisms to control the way that life would respond to the winds of selection from the environment. Later, by creating multicellular organisms, evolution gained access to morphological change as an alternative to slower and less versatile biochemical evolution. Changes in the instructions in developmental programs replaced changes in enzyme catalysts. Nervous systems opened the way for still faster and more potent behavioral, social and cultural evolution. Finally, these higher modes produced the prerequisite organization for rational, purposeful evolution, guided and propelled by goal-directed minds. Each of these steps represented a new emergent level of evolutionary capability." This chap, who's frum apparently, is also working on the principle that, barring some miraculous intervention, the evolutionary principle must be built into the universe. Evolution is actually pretty scary stuff; it's a sort of universal solvent for all traditional human ways of thinking about the universe. I don't think anything is achieved by pretending otherwise. Historical facts are facts because they were observed and recorded by people. Something you can't claim about common ancestry. Genetic similarity and similar arguments can serve as "proof" of common ancestry only to those who believe in this a priory. Historical facts are facts because they were observed and recorded by people. So anything that was not directly observed didn't happen? If you find a body of a person dead from a gunshot wound, do you say that the person was not shot since no one saw him being shot? I suspect that you haven't thought through the implication of the radical epistemology that you propose. "If you find a body of a person dead" - it is a fact that he is dead. If you see a gunshot wound - it is a fact that he was shot. Other than these two facts, nothing can be known as a fact. Perhaps he died before he was shot? Perhaps he was shot but didn't die, but then died of a heart attack? Deducing from this dead body who shot him, when, and why, is equivalent to deducing common ancestry from fossils and the 'wealth of converging evidence' is purely circumstantial and speculative. If you find a body of a person dead - it is a fact that he is dead. If you find a gunshot wound, that is a fact that he was shot. However, it cannot be a "fact" that he was dead from a gunshot wound. Perhaps he was shot and survived, but then died from a heart attack? Perhaps he died from a heart attack, and was then shot? Deducing from a dead body with a gunshot wound how, when, by whom, or why, he was killed is the same as deducing "common ancestry" from fossils - merely circumstantial evidence (at best), and pure speculation. Why is it a fact he is dead, perhaps he has some magic way of stopping his metabolic activity? Why is it a fact he was shot, perhaps someone dug out a hole in his body and dropped in a bullet? On the flip side, if someone reports observing his shooting, perhaps he is lying or deluded? The fact is that our degree of confidence in historical events does not depend entirely on observation and recording as originally proposed. Human testimony is one factor in assessing the situation, just as is the physical evidence. Both must subject to alternative hypotheses. Humans often make errors, and physical evidence is often sufficient. To take one poignant example, there have been many people freed from jail based on DNA evidence in recent years. I'm not sure if the overconfidence in testimony versus physical evidence has to do with studying two thousand year old legal texts where evidence basically means testimony, but I'll take the DNA, thanks. I am not saying "did not happen", I am saying it can't be claimed as a fact (except for some trivial things like if you see lo aleinu a dead person it is a fact he died). But why privilege observation? Perhaps the witnesses were hallucinating? If you want to be a radical skeptic, embrace it. The only thing you can know with certainty is that you must exist in some form. @G*3: Actually, as Russell points out, even that is going too far. All you really know are things like "there is red" (when part of your visual field has red in it). The construction of yourself as being who perceives things is already a hypothesis. As a matter of fact, eyewitness testimony is one of the least reliable forms of evidence. To state it more directly, it is true that all knowledge is somewhat uncertain, but that doesn't have any greater implication for evolution than any other kind of knowledge. BTW, this line of argument seems self-defeating, since it also argues against the argument by design which the main reason people are uncomfortable with evolution. But why privilege observation? Perhaps the witnesses were hallucinating? OK, good luck proving by using DNA that George Washington existed. Maybe everybody were hallucinating. Quite the opposite in the Torah. "All you really know are things like "there is red" (when part of your visual field has red in it)." As an expert in this field, I can say that even this is not a fact, it is only a subjective perception. I don't know what that means. Do you mean that DNA evidence is not discussed in the Torah? That is true, but what of it. The Torah talks about people being tricked into false belief (e.g. Yitzchak with Yaakov, Paroh with B'nei Yisrael, etc.). It also talks about false witnesses and ways of testing witnesses against other observation. You are correct, but the most basic undeniable "knowledge" that you possess is that you are experiencing that subjective perception. Russell points out that this was the core of the Cartesian argument "I think, therfore I am." You are correct that some things are knowable via recorded testimony and others via physical or other kinds of evidence. What of it? Another way to say it: Good luck proving explaining the cause of the various cholera pandemics throughout history using eyewitness testimony alone. @David Ohsie You are correct that some things are knowable via recorded testimony and others via physical or other kinds of evidence. What of it? The original comment was related to the difference between historical facts and common descent claimed as a fact. Of course, not all knowledge is based on testimony. But the testimony vs knowledge obtained by analysis is what differs facts and theories. But the testimony vs knowledge obtained by analysis is what differs facts and theories. You can call knowledge derived from testimony fact and that derived from science theory, but then some theories are more sure some facts. Certainly you would agreed that "theory" of general relativity is more certain than the "facts" of the life of Jesus as reported by the testimony of his disciples. Still missing your argument based on George Washington's DNA. "The few rationalist-oriented rabbis who did study the topic, such as Rav Kook, Rav Yosef Ber Soloveitchik, Rav Gedalyah Nadel (a leading disciple of Chazon Ish) and Rav Aryeh Carmell, concluded that evolution is compatible with Judaism." What is your criterion for being a rationalist, other than the circular criterion of accepting evolution? You seem to be lumping a mystic and an existentialist together. Did the others have philosophical systems? "But aren't there many secular evolutionists who use evolution to try to attack religious principles? Yes, unfortunately there are. But this is an abuse of science; it doesn't reflect on the science of evolution itself." What exactly is the abuse of science? Evolution entirely contradicts the Torah. You're entitled to your biblical apologetics and reinterpretations, but don't accuse others of abusing the science; they're doing no such thing. Given that none of us were present during the creation it's surprising how intensely certain everyone seems in their position. The question of reconciling evolution with Torah is really a question of reconciling science with Torah which is really a question of reconciling religion with modern life. Some say they can blend together nicely and that for the sake of my career and lifestyle they need to blend together nicely. Others are more skeptical. Indeed there is a lot about modern life that does not mesh well or easily with Torah. But for the sake of all that is honest admit that what happened in the beginning of time is really not what is heating people up. I Googled Jonathan Ostroff & Slifkin and found that Dr. Ostroff wrote a response to Slifkin 10 years ago for the Jewish Press explaining what the crux of the problems are with Slifkin's approach, from a Torah Jew's perspective. The article is called "Contra Rabbi Slifkin".It's not a long article, and I recommend you read it. It's actually on Slifkin's site. and after that I admit that I don't understand your use of the concepts "recommend" and "Torah Jew"
Unless you mean that you recommend the article to those who want to understand better how "Torah Jews" think. the right conditions, an animal the size of a dinosaur can become a fossil in a mere three weeks! blood vessels. But blood cells in a dinosaur bone should have disappeared eons ago. A “good kashya,” but it drives Schweitzer crazy when creationists suggest that this may be evidence for a recent creation. This is because she believes that geologists have established that the Hell Creek Formation, where the dinosaur bones were found, is 68 million years old, and that therefore so are the bones buried in it. The mere occurrence of 'young' radiometric dates in fossil containing rocks is not evidence of anything other than possible contamination of the rock with 'modern' material. That is why accurate radiometric dating requires rigorous preparation techniques and careful selection of specimens. For example the uranium isotope radiometric technique is now usually based on the study of zirconia crystals in the rock since zirconia is impervious to acid leaching and infiltration of lead isotopes. Similarly, the other often used dating of potassium-argon radiometric pairs requires laser ablation of the mineral involved until a stable age is established. As to alleged 'fresh' blood cells in an alleged TRex bone that presumes that the features noted were, indeed, organic blood cells as opposed to a mineral deposit. In any case, a few anomalous findings don't invalidate the trove of findings of truly ancient ages of fossils. This is only a creationist ploy often proclaimed in their websites. We can debate here, on this site, whether evolution is against the Torah, or whether six days is literal or allegorical. But try even hinting at that in your typical shteibel, or Litvish yeshiva. Then wait for the chairs to start flying. It's part of the struggle to find a balance between what we've been taught and have come to accept, and all that we read and hear. I think that standard answer is" Hashem made the world to look 14 billion years old", or "the scientists are wrong" etc. But after a while you have to understand that people will not change their beliefs simply because of evidence that they brush off, claim id uncertain, or rigged ( no references here to Trump). Once you pull at the threads, the entire fabric can be undone, r so the warning goes. I try playing with this a little in my book which is being released now, called Dark Muse. It's a Jewish paranormal, and that is the last I will mention of it on this site. ANONACJA - Some people will change their beliefs because of significant evidence against those beliefs. But many are so emotionally attached to their religious beliefs that they will prefer denial and excuses. "Many are so emotionally attached to their religious beliefs that they will prefer denial and excuses." You might say the same of political beliefs too, or scientific beliefs. X and Y have two different views. X sees something, and says "Y, surely with this evidence you will now change your mind!" But X does never does. Which leads X to say "well, Y is so emotionally attached, he prefers denial." And of course, Y does the same thing with X. What they never realize is that X and Y disagree fundamentally on what constitutes evidence. What X sees as powerful evidence, Y interprets differently, and vice versa. And if the disputed evidence isn't literally in front of their faces - which is most of the time - they wont even agree that the evidence exists in the first place, forget about interpreting it. And so you will never have agreement, you will just have each side accusing the other of willfully ignoring the facts. We now have computer programs that can literally write themselves. When such a program is run for awhile, it is different from what it was when it first started running. Now, the question is: who wrote the program as it exists at any point in time after it was first started? One can say that the original programmer wrote the program that exists some time after it was started because it was that person who set up all the basic rules for how the program would respond to its environment, even if the current state of the program is much different that what it was when it was first turned on. The programmer is G-d. The universe is the program. Also, one problem people have with the complexity of organisms is that they cannot conceive of any way for a random process to result in such complexity. They are correct; a random process probably couldn't result in a human being. However, the evolutionary process is NOT random. When a individual exhibits a trait, perhaps randomly acquired, that makes it more likely to survive and reproduce, then that trait persists. This is not a random process. Evolution isn't described by a roomful of monkeys mindlessly banging on typewriters. It is more like, as soon as a monkey types something sensible, like the first two letters of a word, then every other monkey then types those two letters and continues banging until one of them types the third letter of a word. Then all the monkeys start over with those three letters. This is not a totally random process. It can retain the complexity it has achieved up to a certain point and build ever more complex organisms. If one does not accept evolution, then please offer a better explanation for the growing antibiotic resistance that has been observed nearly since the discovery of antibiotics. You are going to have to decide whether evolution is guided by an outside intelligence or not. How do the other monkeys know that the first one has typed the first two letters of a word, and that this word is the beginning of a story, if they don't know the story in advance. This is typical of the trickery embedded in the evolution fiction. It is presented as a genuinely random process, and then outside factors are used (like choosing the environment or the amino acids available, or monkeys somehow knowing that the correct two letters have been typed) to direct events to a given end. Random processes really don't know where they are going. I think your computer program moshol also explains the changes in antibiotic resistance; the bacteria have the ability to alter their resistance using capabilities for change and learning that they already possess. But this implies an intelligence within the cell that is capable of manipulating the structures of the cell, changing protein expression, whatever. DNA alone cannot do this. Of course there are limits; a program can only change in terms that have been set up ab initio. Evolution is the underpinning of a secular science; most early scientists were failed alchemists who were desperately trying to prove to the church that they were not engaged in witchcraft, so steered clear of anything that involved occult or hidden forces. This is the basis of modern science. We don't need to go along with it. Peleg, it appears you think that microevolution proves macroevolution. ANONACJA - @Pelweg - you seem to be advocating something like Deism. Or perhaps you would argue the initial programmer modifies the code from time to time. Also, what makes you think the Universe needed something outside of itself to make the program ? Maybe the Universe (the program) just is. Rav Slifkin and anybody else who can respond - There is a missed question most important to me. If the Torah was from G-d and if Evolution is true - why did not G-d provide accurate information in Bereshis as opposed to an account that has to mangled to fit with Evolution, and to mangle Evolution to fit with the Torah ? Apologetics are reinterpreting Bereshis to fit with Science, after the Scientists discover things- post hoc rationalization. It also seems at least parts of Bereshis were understood as true facts by the Mesora (Udum Harishone, Rakia...) so positing Bereshis is all metaphor/allegory is a kvetch. Does it not seem more plausible it was written by ignorant people ? Great point there, er, whatever your name is. I would, however, assert that it wasn't Bereishis that was written by ignorant people, it is evolution. skeptic, your understanding of the history of science and how evolution works is deeply flawed. The early scientists weren't 'failed alchemists' nor was the development of Dawinian evolution in the 19th century the underpinning of modern science. Galileo, the first of the famous experimental scientists lived at the turn of the 17th century and Newton, the founder of calculus and the science of mechanics and optics, lived in that century. While Newton dabbled in alchemic research, his fame was already established in math and physics and he kept his 'chemical' work to himself (together with is impressive biblical research). The development of antibiotic resistance by bacteria can be easily accounted for by classical evolution. Random changes in the DNA of a bacterium can lead to a change in its chemical behavior, i.e., the ability to counter a chemical that had been previously fatal to its species. That bacterium will survive the presence of the antibiotic and multiply, while its less 'fortunate cousins' will not. Hence a new antibiotic resistant strain of that bacterium is produced. It has nothing to do with some kind of bacterial 'intelligence'. Why didn't Hashem give us details of creation? You mean, like a science course, and a history course/And then a blog where all the malcontents and conspiracy theorists can hols forth? The Torah is there to (try to ) teach us right from wrong, about acts and consequences and even about Hashem and why he puts up, with us. Besides that, if it was all about chemistry , biology and all that wonderful stuff, do you think anybody would read it? I like the point and counterpoint made by Peleg and Skeptic above. Well-presented, rational positions both. A model for debate! Skeptic, you are demonstrating again that you don't even understand the theory that you are arguing against. To answer your questions directly, the way that the monkey knows that he has typed the first two letters right (which is to say, how the the beneficial random mutations are selected for) is that the first two letters help the monkey reproduce himself in the environment in which he finds himself (which is to say, the organism with those mutations are more likely to reproduce copies of themselves than their brethren without this mutation). He doesn't know the story in advance, and there is in fact no guarantee of any future story. The way that the "other monkeys know" is that the other monkeys are the descendants of the first one (in other word, the mutation is passed on in DNA to the offspring of the organism with the beneficial mutation). Y. Aharon politely dismantled the other aspects of your post. If you intelligent enough to make these posts, however misguided, you are intelligent enough to pick up some popular exposition of evolution and at least understand it so that you can ask informed and intelligent questions rather than simply asserting that the theory is nonsense. I hope that this was sarcasm. "This is typical of the trickery embedded in the evolution fiction," as a f'rinstance. @Adam Sedgwick: There is no distinction between microevolution and macroevolution, except that any form of evolution that we can directly observe happening on the timescale of human observation is deemed microevolution and anything that takes longer is deemed macroevolution. This distinction is a convenient attempt to deflect attention from the fact that Darwin predicted these observable phenomena many years before they were observed based in his theory. The directly observable forms of evolution thus provide confirmation to the theory as a whole. This is in addition to the "historical" evidence that also lines up nicely. That we can't directly observe instances of evolution that take place on a timescale much longer than the time since Darwin published his theory is not surprising, I hope. In 1980, Roger Lewin reported in Science on a major meeting at the University of Chicago that sought to reconcile biologists' understandings of evolution with the findings of paleontology. Lewin reported, "The central question of the Chicago conference was whether the mechanisms underlying microevolution can be extrapolated to explain the phenomena of macroevolution. At the risk of doing violence to the positions of some of the people at the meeting, the answer can be given as a clear, No." I also invite you to check out Douglas Erwin's 2000 paper in the journal Evolution and Development entitled "Macroevolution is more than repeated rounds of microevolution" . You seem to take as a given that the limits on microevolution are not enough to prevent all the variety we see today. This microevolution, by the way, is accepted by even the most extreme Creationists, so it's really hard to claim it as evidence of macroevolution. I appreciate that in the 18thC it was nice to speak about random mutations creating beneficial changes, but today when molecular biology is understood it is clear that random mutations in DNA coding for a single protein chain - which is the only place they can happen - can only degrade the entire system; and it takes change in a lot of different proteins to produce a change in macro effect. It also seems to me that your monkey metaphor changes somewhat after my comment. I understood from your initial approach that the first two letters represents an initial change, because of course the first two letters are still not a useable story. Now you tell me that the first two letters represent a complete new feature. In other words a whole story. With many different interacting proteins etc. I don't find this very convincing. Incidentally, I read a book from someone billed as the best educator in evolution around, and like you guys he completely avoided the molecular biology aspect. So if you are happy in the 18th C then so be it. As far as I can see the entire edifice falls down the moment you consider the reality of the cell. Anonymous - just why do you think Newton kept his alchemical research to himself.... My history is not as flawed as you make out. @Adam Sedgewick: I was in error about something that I said above. Macroevolution (defined as evolution above the species level) is a term which is actually used. The rest of the argument stands. The discussion that is not about whether or not macro-evolution is non-Darwinian, but whether or not macro-evolution is the result of a steady stream of micro-evolutions or whether there are influences the promote periods of relative fast change interspersed in periods of slow change. As Erwin says "Since all evolutionary change involves intraspecific modification and speciation, in a trivial sense, macroevolution could be reducible to microevolution. The novel associations of morphological characters and developmental processes recognized as phyla did not arise through some processes of “phylization,” but through speciation. At issue is not the efficacy of natural selection (contrary to some misunderstandings, e.g., Dawkins 1996), but whether the larger scale patterns in the history of life simply reflect the accumulation of microevolutionary events over long spans of time, or whether a more inclusive view of evolutionary processes is required." "You seem to take as a given that the limits on microevolution are not enough to prevent all the variety we see today." Since there are no "limits", this sentence is insensible. "This microevolution, by the way, is accepted by even the most extreme Creationists, so it's really hard to claim it as evidence of macroevolution." This makes no sense. How can the beliefs of any group influence the evaluation of evidence for or against a theory. The reason that microevolution is evidence of the correctness of Darwinism is that Darwinism predicted microevolution before anyone had ever observed it. Confirmation of the predictions of theory increase the probability that the theory as a whole is correct. Of course Macroevolution has also been verified, but not by direct contemporaneous observation. This would be impossible since humans have not lived long enough since Darwin to make such observations. The reason that it is accepted by creationists is easy: it doesn't upend their theory of creation, they would look like complete morons if they denied its existence. In that sense the distinction remains artificial. I appreciate that in the 18thC it was nice to speak about random mutations creating beneficial changes, but today when molecular biology is understood it is clear that random mutations in DNA coding for a single protein chain - which is the only place they can happen - can only degrade the entire system; and it takes change in a lot of different proteins to produce a change in macro effect. This looks like nonsense, but I'm willing to be shown otherwise. References? It also seems to me that your monkey metaphor changes somewhat after my comment. The metaphor belonged to Peleg. He was trying to correct a misconception and describe the theory properly. You misread his analogy. What does it mean G-d makes the wind blow ? There are no supernatural being(s) making the wind blow unless you classify pressure as a supernatural being - but then that being would have to be physical. Perhaps it means G-d created physical laws, but then G-d is not directly making the wind blow. If so, don’t stop with the wind. You may say G-d makes the earthquake that kills thousands of innocent people, dogs poop...in short he is the ultimate ‘cause’ of everything that happens. It is not good enough to say a supernatural being could work thru say meteorology. The states of the universe proceed according to the laws of physics - no supernatural being(s) involved. Why should those laws be modified to allow supernatural interference or involvement ? How could those laws be modified to allow for supernatural interference ? Also, interfering could cause drastic consequences. For example - the Sun Standing still - this would cause extraordinary disruptions of interplanetary forces and orbits. Even if G-d exists, the laws of physics proceed as if he does not. The laws of physics determine how the Universe (everything) evolves over time. P.S. Evolution is diametrically opposed to supernatural involvement in the evolution of the species. Per Evolution, supernatural beings are superfluous and do not enter the theory at all. If I understand modern thinking in physics, it is oversimplifying things if we talk about "laws of physics". In quantum physics and chaos theory there are a lot of non-deterministic things happening that only statistics can quantify. Regarding meteorology, there are instabilities in flows like the jet stream that can develop into cyclonic disturbances which create the storms we see, but just where that instability takes place and how the disturbance develops and where it moves can not be determined simply by looking at the pre-disturbance flow pattern. This is a big reason why the weather can not be predicted more than about five days in advance. It is not only because of a lack of data, even if there was a weather station taking pressure, temperature and wind reading every five square meters on the earth's surface, there is still a measure of unpredictability in the system. From ANONACJA to Ben-David - very thoughtful comment. Let me respond. Chaos Theory is deterministic. It is just that small changes in inputs can have large changes in outputs. Quantum Theory - According to some interpretations, results of experiments have uncertain outcomes. But the possible outcomes and their exact uncertainties are known. Moreover, the uncertainties evolve over time per certain equations. There are no supernatural beings in those equations. Are you suggesting a supernatural being actually forcing the results of an experiment ? How would it do so ? How would it interact with the system ? We have never detected anything of the sort. We know the equations work and are complete, and there is nothing to add to them, at least as far as all experiments within our sphere of ability and influence. The claim a supernatural being can influence the experiment outcome would mean the equations are wrong. It would be tantamount to saying a supernatural being can suspend the ‘laws of nature’ as understood prior to quantum theory. You are right, but when Hashem chooses to lead the world in a natural way, He disguises completely His will in the natural laws, that means He is willing to let exist a purely material reality, in this case even a very gifted observer won't discern anything but nature. Its like a very good simulation were the input of the programmer can't be traced, but he made the all thing. Let me add to Michel Lue's comment. GOD is the author of the laws (rules) governing the physical universe. As far as we can tell, He normally lets those laws operate without interference. However, He is 'free' to make changes if needed. Earth weather is an inherently chaotic phenomenon (even the basic convection cell has that mathematical characteristic). As such, GOD's intervention would not go counter to the evident operation of the laws of physics. He need only inject a certain amount of energy into a certain region of the atmosphere at a certain time to produce the desired effect, such as rain in Israel as a blessing or lack thereof as a curse. In terms of quantum uncertainty, that argument pertains to our knowledge of certain related properties of quantum particles such as position and velocity, it does not restrict divine knowledge - at least that has certainly not been demonstrated, nor is even considered in a scientific theory. Nor does quantum mechanics or any theory or mathematical description have a claim of completeness. Whatever we know of the physical world is provisional. Newtonian mechanics was considered for centuries to be a perfectly accurate description of the effects of gravity on earth and in the 'heavens' until Einstein showed that a radically different mathematical description and assumption was an even better one. His General Relativity theorem is not compatible with Quantum theory and modification to one or both will be required to resolve conflicts. ANONACJA Regarding #4 '...Scripture describes the sky as a dome..." and was understood as being true by the sages. But how could the mesorah be false ? Also why did the Torah write a falsehood ? Did the Torah not realize that by placing false statements within it had the potential to create heretics ? Maybe a more plausible explanation is it was written by people who did not know better ? 'expanse' rather than the conventional 'firmament'. The torah was given in a pre-scientific age. Scientifically accurate information as to the age of the earth and the actual origin and state of the features of the 6 creation 'days' would have been both incomprehensible and led to even greater dismissal than the language that the torah does use. That explanation has always been less than convincing to me. I think that God could made the story broadly correct if He had desired. Why write six days, (Ramban held 24 regular days) when it intended something else. Why not write 6 very long periods. That is quite comprehensible even to children. It is certainly be possible for a knowledgeable person (and especially G-d) to write truthful statements in a comprehensible manner without resorting to falsehoods or extremely misleading wording. ANONACJA, A literal 6 days is the evident understanding of the text which makes celebrating Shabbat on each 7th day easily comprehensible. The accumulation of physical evidence against that reading which includes radiometric dating schemes involving long-lived radioisotope pairs (half-life in the billions of years), distances to galaxies in the far reaches of the universe, annual layers of ice in Greenland and Antarctica, annual layers of ancient glacier deposits in lakes, and other evidence requires a reinterpretation of the creation days to mean periods of indefinite length. The biblical word, 'yom' can, indeed, take on various meanings, a day, a year, or even 1000 years. The lesson about celebrating Shabbat must then also be reinterpreted. If the creation days are eras, then the 7th day is also an era - the era of man. GOD ceased his overt direction in the 7th day according to the text. This is taken to mean sometime in the 7th era - the biblical era. Subsequently, we are expected to continue that divinely ordained mission on our own initiative. We must, however, be reminded of that task every week. @ Y. Aharon - Please think about this - do you think you have really addressed the crux of my question ? If you think so fine. ANONACJA, I believe that I did, indeed, address the question of why are 6 days mentioned instead of 6 periods. One of the key messages of the creation narrative is that mankind (Israel) must reflect the divine example by being active in affairs of the world during the weekdays but ceasing such activity and control on Shabbat. Such cessation is to signal our acknowledgement that the world is GOD's handiwork. That was the intended lesson of the text for millennia. Now that we have a much better understanding of creation, the simple emulation of divine behavior is no longer adequate, and an additional motivation is appropriate to acknowledge the world's origin and our mission in it. All these descriptions were interpreted literally by the Sages of old : are you speaking of the Sages of the talmud, or of the Rishonim? because the former one according to R M Luzatto (introduction of the Eyn Yakov) were only using the theories of their time as metaphors without cautioning their veracity which was not relevant for their purpose, it was common wisdom in their epoch, and nowadays they would perhaps have used the theory of evolution for their purposes, because as stated by the Maharal in the sixth well of Beer hagolah, nature is only relevant for scientist and physician, Sages are only concerned with the inner causes of the reality, and it is sure that the form of the human body has natural causes (evolution? ), but the inner cause is the verse "let us make man in our image". The common ancestor (macro-evolution) is still a theory, even if the epigenetic revolution make it more plausible than the neo-darwinism, the mecanism of evolution in action nowadays (microevolution) even if discussed heavily are the facts from which the plausibility of macro-evolution is inferred, but because we don't have time machines it can't be proved. Michel Lue, I don't know if this properly addresses your observations or not. The creation narrative is not to be interpreted in a strictly literal manner as was already indicated by the Midrash cited by the Ramban, "It is impossible to relate the power of His deeds to flesh and blood, therefore the verse is opaque, 'In the beginning, GOD created heaven and earth'". An evident example of the use of figurative expressions in the narrative is the constantly repeated phrase, "And GOD said". Did GOD really speak those words, or is it a figurative way of indicating the expression of the divine will? In Midrash Rabbah we have the statement, "'And there was evening ...' this teaches that there were developments in time prior [to the first (official) creation (of light)]. Rav Avahu (the Amora) stated that it (the 2ns verse) teaches that GOD created worlds and destroyed as if to say, these please me and these do not." An early Kabbalist and student of the Ramban, Rav Yitzchak of Acco (cited in Rav Aryeh Kaplan's book on Resurrection...) stated that GOD's (creation) day is 1000 human years. He uses that ratio of 365,000 together with ancient Kabbalistic ideas of prior worlds to calculate that the universe is some 15 billion years old. Rav Yisroel Lifshitz (Tiferet Yisroel) in the 19th century wrote in his long essay on resurrection in back of Mishnayot Nezikin that the 2nd verse teaches that the earth was struck by an immense space rock that brought about the condition of 'tohu vavohu and choshech' on the earth. He also accepts as fact that there were dinosaurs prior to the age of man on earth (presumably killed by the above impact). My own understanding of the creation narrative starts much as did Rav Lifshitz except that we now know far more about that collision 66 million years ago that he could only conjecture. The subsequent creation 'days' or periods witnessed the gradual clearance of an opaque, dust filled sky and the reanimation of the seas and land by the surviving creatures. However, this is not the time to elaborate further on this thesis. As to a fundamental part of evolution theory, common descent, I would only briefly allude to some basic facts of cellular biology pertinent to all of life. Genetic information on protein formation is coded essentially the same way for all life forms (Triplet code of DNA base pairs. Some virii use RNA and a slightly different triplet code). All amino acids so organized into the various proteins have the L space configuration, whereas all saccharides (sugars) have the mirror image (D) configuration. There is no obvious reason why the opposite could not have occurred. The evolution of all life forms from an original simple form containing this configuration would answer this conundrum. @ Y. Aharon - did Rav Yitzchak of Acco claim the Universe is 15 billion years ? Or is that a post hoc rationalization by Rav Kaplan ? Regarding 1000 human years = 1 day of G-d's, this is probably Psalms 90:4. That Psalm could be just a metaphor not to be taken as a math relation. If as a math relation, then 6 days of creation is 365000 years, not 15 billion. ANONACJA, the 15 billion year calculation by R' Yitzchak of Acco is reported in the cited book by R' Aryeh Kaplan (Resurrection,Immortality...). I didn't give the details, nor do I properly remember it, but it appears to be the result of the product of 365,000 x 6 x 7000. The latter would be the number of years elapsed until the start of the current cycle of existence - according to an ancient mystical view. The source of the 365000 ratio is more properly the biblical narrative where GOD warns Adam, "...on the day that you eat from it (the fruit of the etz hada'at) you will surely die". Yet Adam lived to be nearly 1000 years (actually 930, but that times 365.25 x 42000 gives 14 billion). This, too, could be translated non-literally, however, the main point is not the cogency of the calculation but that a Rishon had that viewpoint. @ Y. Aharon - I had a typo - 6 days of creation * 1000 = six thousand years for the creation, I types 3650000 years. I think I came across R'Kaplan's calculation once. 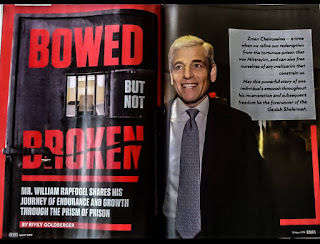 Per my recollection, he was mining this obscure Rabbi, and then this one etc: and then putting them together to get billions, cant recall how many billions. I am pretty sure R'Acco did not write billions, but billions was something R'Kaplan backed into post hoc. ANONACJA, I didn't read the referenced work by Rav Yitzchak of Acco, but the calculation that R' Aryeh Kaplan describes is said to come from that work. Of course, R' Yitzchok didn't write 'billions'. He probably wrote 150 ribui revavot (150 x 10000 x 10ooo). The calculation is more properly given than what I had described before. It depends on the view of an ancient kabbalistic work, Sefer Temunah, which describes this world as the product of the 6th divine cycle, each of which lasted 6000 divine years, giving 42000 divine years. Each such year consists of 365000 (or 365250) earth years, giving a total of 15.3 billion earth years. The above ratio of 365000 is based on 1 divine day being equivalent to 1000 earth years, or 365000 earth days. The same ratio holds for the equivalency of 1 divine year to 365000 earth years. I fail to see why you seek to minimize the reputation of R' Yitzchak or impugn what R' Kaplan had written. R' Yitzchak may not be well-known since the above view and the wording of the Sefer Temunah was disputed by the Ari. Hence, it is not mainstream kabbalah, but does reflect of view of the great antiquity of the universe. Parenthetically, I note that Rav Yisroel in the above cited essay cites the Sefer Temunah for such a view. However, it is known that he was a student of the Ramban and appears to have been the authority who was relied on to vouch for the authenticity of the Zohar as an ancient work, rather than a creation of Rav Moshe Deleon. If you insist on maintaining your view of the calculation I can dig up the referenced book (Immortality, Resurrection, and the age of the universe) to supply the relevant passage. This entire discussion is unnecessary and pathetic. Virtually all of the alleged conflicts between Bereshit and science are due to mistranslations.What the argument here is really about is how to square the King James or Tyndale bibles with Judaism. None of the mistranslations are recognized by Haredim because they do not teach real Hebrew grammar (like many other subjects) in their yeshivas. As a result, Haredism, paradoxically, has become infected with Fundamentalist Christianity. Just to give you a taste of this, shamayim means sky, not "heavens" . Furthermore, to biblical Jews,sky was water (hint mayim=water). Indeed, even the Gemara identifies sky with water. Eretz is dry land, not "the earth". "Adam" is "The Adam" and nowhere else in the Torah is a person's name preceded by a definite article. It is well known that the first word of Bereshit is grossly mistranslated.Most of the "days" are in cardinal, not ordinal numbers as usually translated. There is no tradition of creation ex-nihilo in Judaism. This was inherited from a dispute between the early Catholic Church and the Marcionites. Ramban's commentary on this is distorted and misquoted consistently. One could go on and on. Sadly, rebellious Christians appear to be the only one's writing about this (see, for example " God Sky and Land " by Bull and Guy). Finally, the Haredi shtick about God planting dinosaur bones, etc. is inherited from a 19th Century book by a Christian named Gosse called "Omphalos", which tried to address the question of whether Adam had a Navel. Rabbi Slifkin.. do you read these posts. It is time to raise the level of this discussion. You will not solve the problem by the method of TOSTOS ("this one said, that one said"). The only day with an cardinal number is the first - all of the rest are ordinal in the original Hebrew (as Rashi points out). Your point about sky meaning water is well-known to Charedim as well, as Rashi points it out. "Virtually all of the alleged conflicts between Bereshit and science are due to mistranslations." Translation is easy if you already know what the text is supposed to mean right ? Thank you for the replies. I am thankful that someone is paying attention to this, a matter of great importance. First, some general comments. For Anonymous: You may not be able to tell precisely what the original text meant in the Hebrew but you can often tell what is NOT meant. The key is to recognize that the Torah had to be understood by people in Biblical Times. In those days, people had no idea that they were living on what we wall “Planet Earth” and had no conception that the sky was what we refer to as the “heavens’. This is clear from any reading of Torah or the literature of the surrounding Middle East. The concept in those times was that the sky was water. This was not illogical since it was blue, like the ocean, and water came down from it when it rained. This was even the concept in Talmudic times: “What is meant by heavens (e.g. sky) ?” said R. Jose Bar Hanina. It means the place where there is water” (Hagiga 2). Just realizing that we are not talking about ways of looking at the universe s/p the Copernican Revolution makes attempts to turn Bereshit into a modern science document way off base. If we assume that Torah is to have a meaning for all time, Bereshit cannot possibly be about science. Scientific theories change all the time. Even Einstein hoped that relativity would be a subset of a greater theory to be developed at a future time. For dlz: You are correct. I apologize for errors typing from a cellphone. However, there is a lot to the “days”. The first day only is a cardinal number. This essentially means “a day”. Hence, it does not mean there were not other “days” of some sort before it. There is no definite article (“the”) until the 7th day. Even Artscroll translates the days as “a second day” “a third day” etc. This implies that the days do not necessarily come one after another without intervening time. Nevertheless, most of the things people argue about- including the comments on this site- go by the King James first day, second day, etc. Once we see that the Torah is not necessarily referring to a sequence with a discrete beginning and days with unclear intervening periods, we can stop all of the silly calculations of the age of the universe, etc. I am baffled as to why Jews want to adopt the faulty King James Bible translations. Also, as I said in my post, the idea that G_d is trying to fool us (contradicted by the multiple passages in Tanakh that G_d is yasher) comes from a ridiculous 19th Christian book called “Omphalos.” I would encourage all to research this for themselves and you will see that Bereshit has nothing to do with science but does have a much deeper meaning. There is no Torah problem with evolution because Bereshit has nothing to do with science. A question I haven't seen discussed much in these comments is, does Darwinism provide a satisfactory account of living things as they are, and in particular of man? Is it plausible to reduce the apparent purposiveness of living things to mechanical causes? If I say, for example, "I love my son," can one understand this "love" as a merely mechanical process which I possess because my distant ancestors who possessed it passed along their genes more reliably than did others who lacked it? Or is it more plausible to explain this love by reference to the yearning of a mortal thing to make another like itself and thereby to share somehow in what is immortal (Aristotle, On the Soul II. 4)? Which explanation better helps us understand the story of the binding of Isaac? Certainly the mechanistic approach has always had intelligent adherents (e.g. Hobbes); but there have always been intelligent people on the other side too (e.g. Kant). How we stand on this issue may not affect whether we believe evolution has occured, but it will probably affect how we understand evolution. I would say that your question is more about biological reductionism, than Darwinism: Can mind reduced to carbon chemistry or is there a separate "soul" involved in consciousness? Agreed, but is not Darwinism one kind of reductionism? And that is my question: does Darwinist reductionism (explaining all natural traits by reference to reproductive success) provide a plausible account of man as we know him? Incidentally, as you know, the Aristotelian soul is broader than just consciousness: every living thing has a soul. Nor is his soul a separate "ghost in the machine", which is probably how we moderns, thanks to Descartes, are inclined to conceive of it. With the possible exception of the intellect, the soul's powers (on which see Rambam Eight Chapters, chapter one) are not separate from the body but are rather related to it as the power of the axe to cut is related to the axe, as sight is related to the eye, and in general as form is related to matter (Aristotle, On the Soul, II. 1). I'll be the first to admit that this is not easy to understand. 1) Darwinism explain the origins of "biological creatures" out of the underlying seemingly purposely matter of carbon chemistry. *IF* consciousness is not reducible to the brain, then Darwinism still successfully explains life's origin and the brain's origin, but doesn't explain consciousness. 2) Aristotle's general notion of form is not longer needed or particularly useful. What he used to describe as form can better be described by physical laws. Aristotle is observed that "substance" of the axe head only worked to cut when it was shaped in the form of an axe, but a physicist or engineer would be able to give a much better explanation of how the axe cuts based on forces and properties of materials and will even be able to explain why some "substances" can "receive the form of the axe" better than others (an ax made out of lead or gold is doesn't work as well as one made out steel). What Aristotle called the soul, we would call physiology. When a person dies, it is not that the same substance that is was alive a second ago no longer takes the form of a soul; it is that that the machinery of the body no longer functions for one reason or another (that we can often determine). Comment on 5) "Apparent Randomness". Most Rishonim seem to think that mikreh is real not just apparent. This is for example evident in the Rambam's view that all but the most enlightened are subject to natural law, which for him is the same thing as hashgacha kelatit. The idea that mikreh is merely apparent can be dated to the 18th century and is represented in "modern" Jewish thought by Rav Dessler. Aristotle is well aware that the power of an axe to cut depends partly on the materials out of which it is made. But the materials alone do not yet constitute an axe. His argument is that the form or shape of a thing is essentially different from the materials of which it is made even though it is inseparable from them. And a thing is more its form than its materials. The form is what makes a thing a whole rather than a mere collection of parts. In the case of a living organism, its form is its soul, which seems to mean the whole of that organism’s characteristic powers and activities, especially growth, local motion, sense perception, and in the case of man, intellect. Although these powers and activities have a bodily basis (e.g. seeing is impossible without an eye), they are not reducible to body. This is partly because they are purposive, they aim at or tend toward ends, which body by itself does not. This is the famous Aristotelian “teleology”, which modern science has, since the 17th century or before, rejected in favor of a mechanistic approach: what appears at first glance to be purposive (e.g. an animal moves in order to find food) is in fact fully explainable by mechanical (non-purposive) causes. Living things are not endowed with natural purposes, as Aristotle believed, but are moved by forces that are not fundamentally different from those that move non-living things. Darwinism I take to be a version of this non-teleological approach (although some Darwinists hedge by using the term “teleonomy” to describe the distinctive character of living things). If this non-teleological approach is adequate, we can probably dispense with the word soul. If it isn’t, then we need some word to denote that part or aspect of living things that is not explainable by mechanical causes alone. I doubt we can decide this question in the abstract; we need to compare particular mechanistic and non-mechanistic accounts of living things and consider which ones are more persuasive. One example: the mechanistic and non-mechanistic accounts of biological reproduction that I offered in my original post. If this non-teleological approach is adequate, we can probably dispense with the word soul. If it isn’t, then we need some word to denote that part or aspect of living things that is not explainable by mechanical causes alone. I doubt we can decide this question in the abstract; we need to compare particular mechanistic and non-mechanistic accounts of living things and consider which ones are more persuasive. You are right that this cannot be decided in the abstract; it is in the domain of science. Scientists have been doing this for some time and have already concluded that what you describe (essentially a form of Vitalism) is incorrect based on the fact that living things are made up the same stuff as non-living things following the same laws, and that we've never found an example of a biological process that has been shown not to be reducible to chemistry (although of course, not everything is explained). So I think the program that you suggest has already been put into effect and conclusions have been drawn based on evidence. The mind-brain relationship is perhaps the only one where one could say that the jury is out, although I don't really see a reason to think that won't be solved eventually. If it is solved eventually, then I agree with you in some sense: the soul is then not a separate entity, but a particular organization of matter which results in thought analogous to the Aristotelian form. "we've never found an example of a biological process that has been shown not to be reducible to chemistry (although of course, not everything is explained)"
Not everyone would agree. For instance, the eminent evolutionary biologist Ernst Mayr held that "explanatory reductionism is quite unable to explain characteristics of organisms that emerge at higher levels of organization.” Organisms are indeed composed entirely of molecules that follow the laws of chemistry and physics, but the molecules are organized in systems - cells, tissues, organs, organ systems, and the organism as a whole - none of which can be adequately explained by those laws. For example, at the level of the whole organism, "such purely biological concepts as territory display, predator thwarting, and so on [can] never be reduced to the terms of chemistry and physics without entirely losing their biological meaning." This is at least partly because it is impossible to explain biological processes and activities without reference to function or purposiveness, which have no equivalent in chemical and physical analysis. Living organisms are in this way fundamentally different from all other phenomena; hence biology is a genuinely autonomous science. Mayr asserted (I don’t know how accurately) that his “organicist” approach was shared by many or even most biologists. He did not consider himself an Aristotelian, but I suspect that Aristotle would regard organicism as a kind of vindication of teleology and the soul. I found the essay that you refer to, and he is not saying what you are saying. He arguing the philosophy and not the science. As best I can tell, he is justifying why Biology deserves to be a science on its own. He understand that ultimately it is Chemistry, but that doesn't mean that the particular way that organic chemistry comes out doesn't produce new phenomena that can be studied profitably at a higher level.